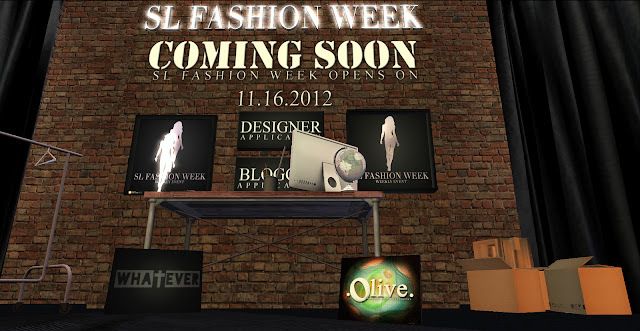 The SL Fashion Week Blog is getting reworked! Please come back later! Copyright © SL Fashion Week - Weekly Event | Powered by Blogger. SL Fashion Week is a weekly event that will bring you styles from all over the grid. Fashion model glam to urban chic wear. We have something for everyone. Head over to our info center, where you will find both our group, and subscriber joiner so you can keep updated on all the goings on with the event! Also, there is a free gift for all visitors! I am looking forward to the upcoming Fashion Week this Year. Keep posting for everyone to be updated. The dressing room with manic people all about and fashion at it's rawest. This is the real SL Fashion Week. Bringing together the best and freshest styles and items on the grid, SL Fashion Week will be a weekly event geared towards bring you fashion that's both affordable and high end. Each Designer will get to make 1 to 6 items for this event. Along with that, and this being a new event.